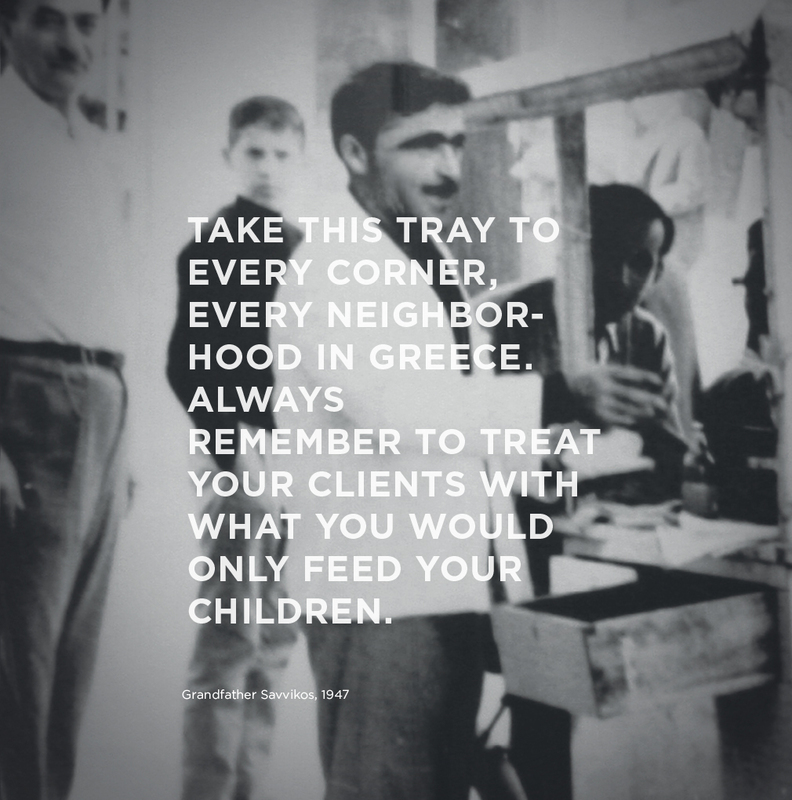 The story of grandfather Savvikos takes us back to 1947 when he roamed the city streets with his food cart and sold the most delicious souvlaki. Since then, a lot has changed. But not our priorities: excellent quality, intact traditional taste, respect for the customer. Honoring the words of grandfather Savvikos, we continue his vision through our traditional recipes, constantly adding new ones to our menu. This is why, for many decades now, the traditional authentic taste bears the signature of the Savvikos family.